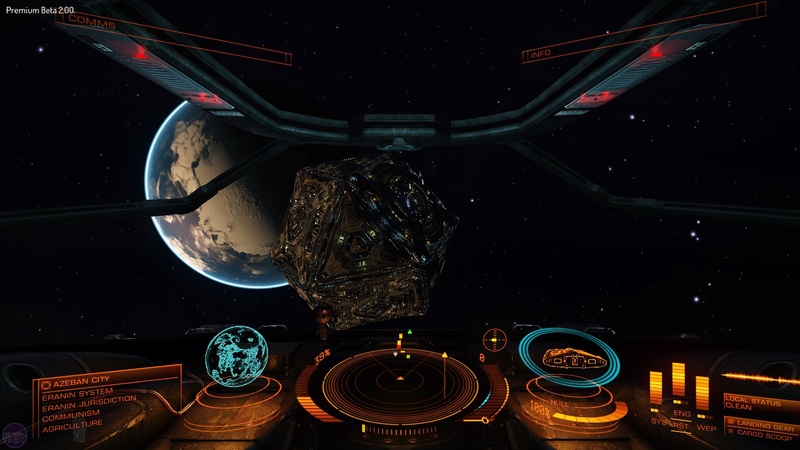 Elite Dangerous is the brand new space simulator from Frontier Developments, taking the framework of the 1984 classic developed by David Braben and Ian Bell and updating it to make use of all the technological trimmings modern games have to offer. Currently in "Premium Beta" phase, it offers players a small corner of its massive galaxy to explore, fight, and trade in. Its universe is one ripe with opportunity for those with an enterprising mindset. Bearing this in mind, we sent our Peckham-based correspondent - Derek Canter - to investigate the game's current state, and possibly sell the developers some watches. Over to you, Derek. Oi oi! Here's a thing then. There's this new game doin' the rounds right? S'called Elite Dangerous. It's about space, loadsa the stuff. 400 billion star systems, to be precise. This 'ere website 'as employed me; dutiful, trustworthy games jo-urn-a-list Derek Canter to find out wot all the fuss is about. But I've got a better idea. You and me? We're gonna make some money. See, there's loadsa stuff you can do in this game. Fight space pirates, explore far-flung corners of the galaxy (not that far-flung at the moment, mind. But give it time folks, give it time). But wot caught my eye is the trading. 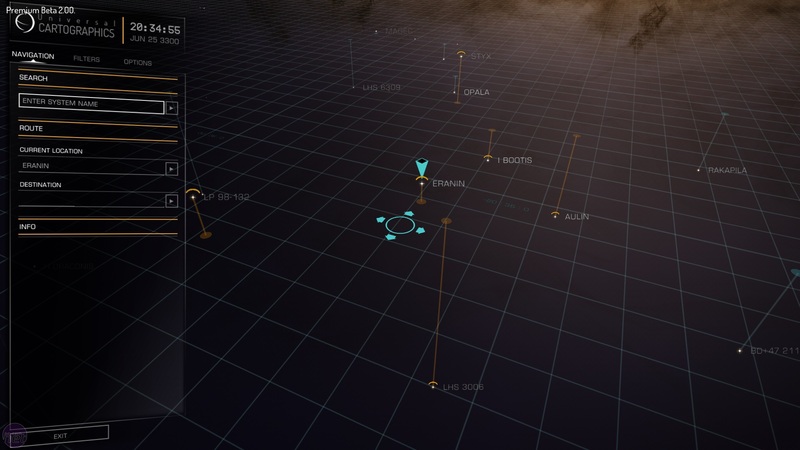 There are these things called Coriolis Starports. They're like really big versions of Camden Market, but in space. You can buy all sorts of gear in these things, clothes, groceries, even domestic appliances. Speaking of which, anybody wanna buy a microwave? Brand-new. Half price. Guaranteed quali'iy. So wot we're gonna do is, we're gonna buy a loada stuff on the cheap at once of these space markets, fly it down to another system, sell it on at double the price at another space market, and everything'll work out very very cushtie, eh? So without further adieu, let's make some do-re-mi. 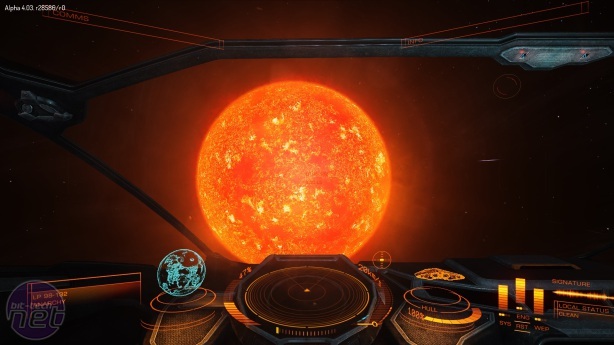 Every player starts outside a space market called Azeban City, in a star system named Eranin. Cor, games 'ave come a long way since I used to sell 'ooky cartridges at the car boot on a Saturday morning. I mean, er, purveyed quali'iy virtual experiences through our unique weekend service. It's actually like sitting in a spaceship, with your view encased by a cosy cockpit, all surrounded by the inky void of space. You can even bring up interaction menus by turning your 'ead left and right. Pucka. 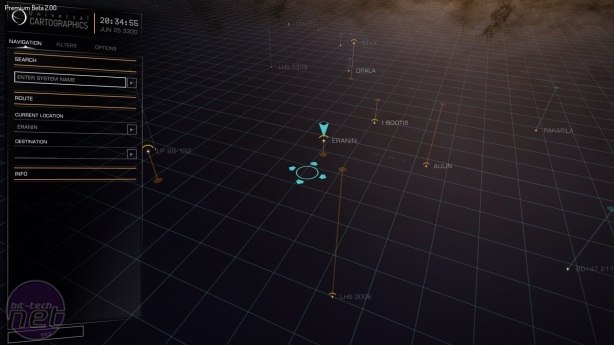 Movin' on, according to Elite's galaxy map is an agricultural economy. I myself am a very agricultured man. Got a lot of Je ne sais quoi , as they say in Spain. Everyone also begins inside a "Sidewinder" spacecraft, which is a bit like a transit van. It's got a small cargo 'old and should just about get us from A to B. But if we're being 'onest (and when am I ever not 'onest?) it could do with a lick of paint. Ideally yellow paint. First job is to dock in Azeban, which is a bit dicey in an' of itself. The entrance to the docking bay is a tiny blue slit located on one face of the station, which is shaped like a cuboctoheron...cuboctopu...cubo...weird square. Other players are nippin' in and out of this passageway all the time, so there's always a risk of getting into a nasty old pie and mash. Luckily, the Sidewinder is small enough to fit through the gap sideways. 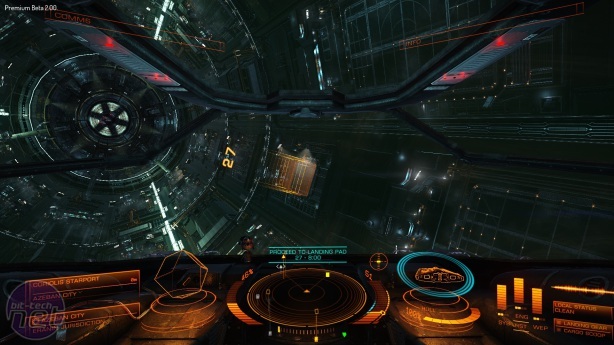 Inside, the dock is a big cylinder with landing platforms on every surface. It's a bit like the inside of a washing machine. On a similar note, anyone wanna buy a washing machine? Top nick. Only used once. VAT-free. You're assigned by request a docking platform before entering the station. Landin' on the platform is a little tricky. But it's all part of the immersive factor, innit? Ensurin' the player is in control whenever possible and deliverin' a seamless simulation experience that is satisfyin' to play. Know more about this games lark than you thought I did, don't I? Elite: Dangerous has introduced a disc shaped spaceport to honour the late Sir Terry Pratchett. Frontier Developments has announced it is working on a new game but also cutting staff.